Tell us something about your Flipagram Platform? Tell us about how Flipagram helps Music Labels? 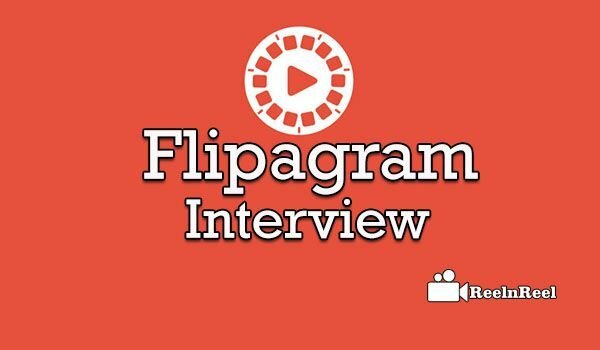 Tell us the best features of flipagram Platform? What to expect in the near future with respect to Live Video content? How your Flipagram Platform can help Brands? Tell us about Video content in the Global market? What are Upcoming Video content Trends and how flipagram will embrace it? Flipagram is the largest mobile video creators network with more than 200 million creators to date. Creators on the network can select from tens of millions of free 60 second song clips that they can add to their Flip video stories. Last July, Flipagram announced a series of global licensing deals with top record companies, including Universal Music Group, Sony Music Entertainment, Warner Music, Merlin and The Orchard, and music publishers, including Sony/ATV Music Publishing, Universal Music Publishing Group and BMG. Through the licensing deals Flipagram is able to offer creators on the app access to free 60-second song clips from their entire catalogues of music. Flipagram offers creators a host of features that are simple and easy to use. Full screen video was made available in the app earlier this year to improve the viewing and editing experience for creators and Flipagram has an ephemeral in-app in the app so creators can shoot inside the app, allowing for more spontaneous creations, without taking up precious storage space on their phones. Soon, Flipagram will launch a ‘fame’ mechanic for many different verticals where mobile video creators have a ground floor opportunity to become bonafide Flipastars. We are focused on growth and the democratization of storytelling. Live video is interesting for people who spend their time tuning into live broadcasts, but a Flipagram of a 30 or 60-second recap of that event or experience that you can re-live over and over again is much more enticing and is what our brand was built on. There are several brands that use Flipagram but currently we are focused on growth of our creator’s network. With video on the rise, we see an incredible opportunity for brands on Flipagram and plan to start ramping up brand monetization and engagement efforts in the near future. Video is making a significant impact on the global market from consumer and business perspectives as evidenced by recent announcements from various social media companies. As the largest mobile video creator’s network, Flipagram is uniquely positioned to allow and empower anyone with a mobile phone to create immersive video stories. We embraced video from the beginning and continue to introduce features (ie. the addition of full screen video) that simplify and improve the user experience. Whether someone is creating or consuming full screen video is much more engaging and allows people to fully connect across experiences and demographics.